Since Medicare's inception in 1966, the federal government has used the program to subsidize resident training, and graduate medical education (GME) has thrived. Recently, however, some policymakers have begun to explore whether more appropriate and better ways can be designed to accomplish the same objective. Medicare originally included GME costs in its reimbursements to hospitals for treating beneficiaries. Faced with rising expenses, however, the government in 1978 set limits on the total amount of reimbursements hospitals could receive. These cost limits were set higher for teaching hospitals to recognize the extra expenditures associated with conducting medical education. In 1983, Medicare initiated another cost-saving measure, the inpatient prospective payment system. This new system also earmarked additional funds for teaching hospitals and divided the costs of medical education in 2 categories, those deemed to be directly related and those indirectly related to education. Direct medical education (DME), which continued to be paid on a cost basis, includes such items as salaries paid to residents and teaching staff and the expense of maintaining classroom space. Indirect medical education (IME), which encompasses items such as the extra diagnostic tests ordered by trainees, is paid by adding a fixed percentage to the prospective payments to the hospital. Beginning in 1985, DME payments, which are computed on a per-resident basis, have been adjusted upward only for the economy's overall rate of inflation. However, Medicare's payments for educational costs continued to rise sharply during the 1990s, from approximately $4 billion in 1990 to $7 billion in 1997.1 This increased spending did not resolve problems surrounding GME, in particular the maldistribution of the physician workforce. Even though most analysts agreed that the United States faced a manpower shortage in particular medical specialties and geographic areas, some also believed that as the number of residents increased from 1990 to 1997 by more than 20% to approximately 100,000, the country already had an excess number of physicians.2,3 In 1997, Congress capped the number of residents subsidized through the Medicare program. At the same time, Congress authorized transitional payments to hospitals if they reduced their number of residency slots. Policymakers have now begun asking even more fundamental questions about GME. For example, Why does the government treat GME differently from other professional education? The consensus seems to be that GME represents a public good that deserves federal support. In addition to carrying out educational missions, teaching hospitals point to the specialized and costly care units they maintain such as burn units and trauma centers, their investments in medical research, and in some cases, the high levels of uncompensated care they provide. The Association of American Medical Colleges and others argue that without government initiatives, such activities are unlikely to be funded in today's competitive health care market. Medicare and, in some states, Medicaid are the only major payers to make explicit provisions for paying the costs associated with GME. Some policymakers recommend that in the future, Medicare's payments should be supplemented by mandatory contributions from private payers such as health maintenance organizations and insurance companies.4 Private health care plans, however, contend that they already support GME through the higher payments made when their beneficiaries use teaching hospitals for specialized care. Should GME Subsidies Be Funded Through Medicare? While most lawmakers agree that the government should subsidize GME, some suggest that it would be more appropriate to finance education outside the auspices of the Medicare program.5 Medicare's payments for education costs are currently borne by the Hospital Insurance Trust Fund, which is financed through a payroll tax and is considered by many to be a dedicated source of revenues for inpatient care for elderly and disabled persons. This trust fund is projected to be bankrupt in approximately 10 years, just as the first wave of 77 million baby boomers retire. Removing the financial burden imposed by financing education would extend the trust fund's life by approximately 5 years. A compromise proposed by some analysts is for Medicare to pay the indirect costs associated with GME, which totaled $4.6 billion in 1997, but to seek another source of revenue to pay for the direct costs, which totaled $2.2 billion in 1997. The thought is that the direct costs, which are closely related to education, should be borne by the entire population, but that it is appropriate for Medicare to pay the indirect costs, which are more closely related to patient care. How Should Payment for GME Be Determined? 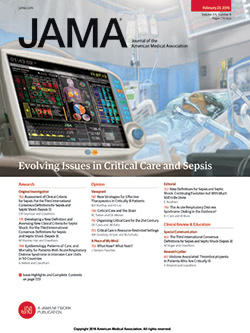 How Should GME-Related Issues Be Managed? Lawmakers have also expressed interest in the idea of using Medicare's financial leverage as a means to influence various policy issues. One area that has attracted attention from policymakers is determining the ideal sites for resident training. A second area of interest is in striking the proper balance between the number of specialists vs primary care residents who are trained in this country. A third is deciding on the appropriate number of international medical graduates to be trained in US residency programs. An example of how Medicare financing can influence policy is a recent law enacted by Congress that made it easier for nonhospital training sites such as health maintenance organizations and rural health clinics to qualify for Medicare's educational payments, a policy supported by those who advocate training more generalists. A final question is whether federal support for health education should be expanded to provide funding to a wider range of educational initiatives. One area of interest is pediatrics. Because federal subsidies for GME are largely based on the Medicare program, whose enrollees primarily consist of the elderly and disabled, children's hospitals do not receive much funding compared with hospitals that treat adults. Another area of interest is nonphysician providers. Training programs for certified registered nurse anesthetists are currently the only advanced-practice nursing programs eligible for Medicare's educational subsidies. The National Association of Children's Hospitals, the American Nurses Association, and the Pew Commission have all recommended that the federal government expand its support in one or both of these areas, although not necessarily through the use of Medicare funds. The clinical training that doctors receive after graduating from medical school is clearly a vital component of our country's health care system. Medicare policies can have a profound impact on that training, as they will determine the role and method of government financing, allocation formulas, and reimbursement policies. US General Accounting Office, Medicare: Indirect Medical Education Payments Are Too High. Washington, DC US Government Printing Office1989;Publication HRD 89-33.